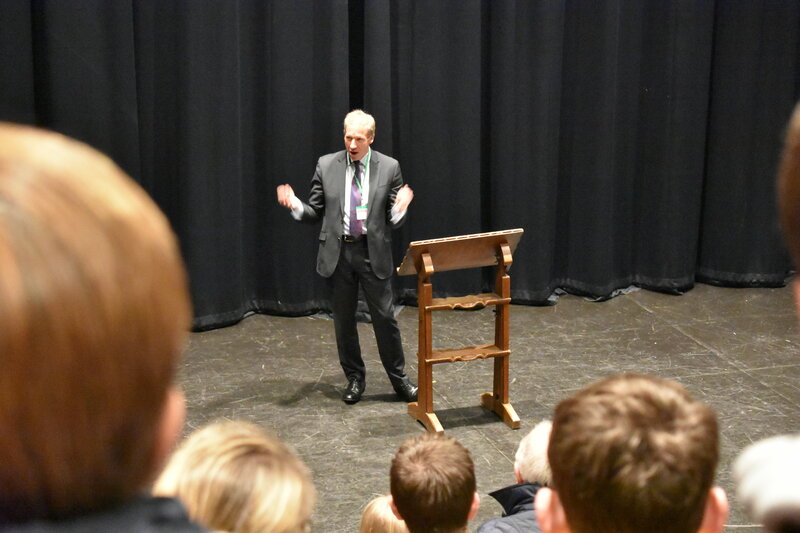 On Thursday 31 January we had the honour of welcoming Marcus Willett CB OBE to deliver the first in a series of twilight careers talks at St Chris. 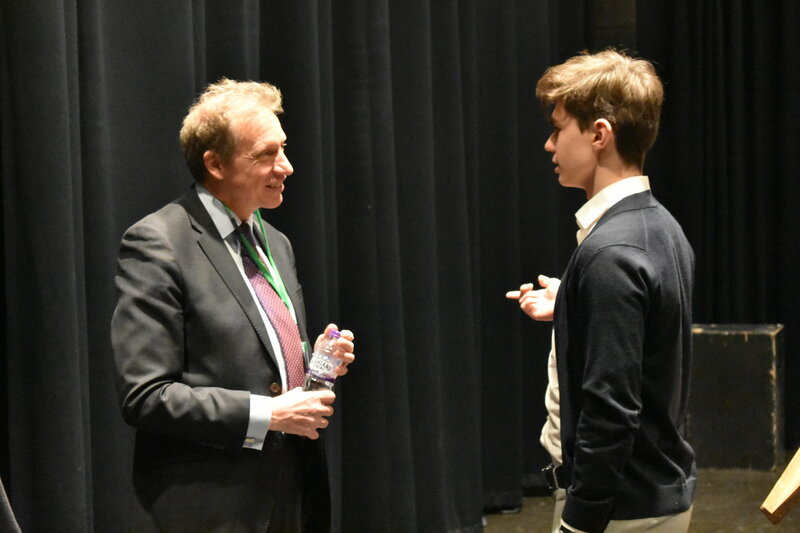 Marcus gave a talk, and an extended question and answer session, on the fascinating subject of his unorthodox route into the government and intelligence service, and his parallel career as a professional musician. Marcus left Bristol University after studying Russian, with no idea as to what to do as a career. The only thing Marcus knew was that he was very good at music and the double bass in particular, which he still plays professionally in his spare time. His mother had a different idea. She didn’t want him sitting around in the house after university so she applied for a Russian speaking job at GCHQ on his behalf. At this point in time the government was in desperate need of Russian speakers. Marcus attended the interview reluctantly and ended up getting the job, where he progressed rapidly and eventually became Deputy Director of the organisation, and he is now a a leading UK expert on cyber security. Marcus openly admitted that, as a university leaver, he never dreamt that such a career path could be a possibility for him. His career pathway shows that thinking outside of the box, keeping an open mind and most of all, knowing your own personality type and what energises and inspires you, is the key to success.